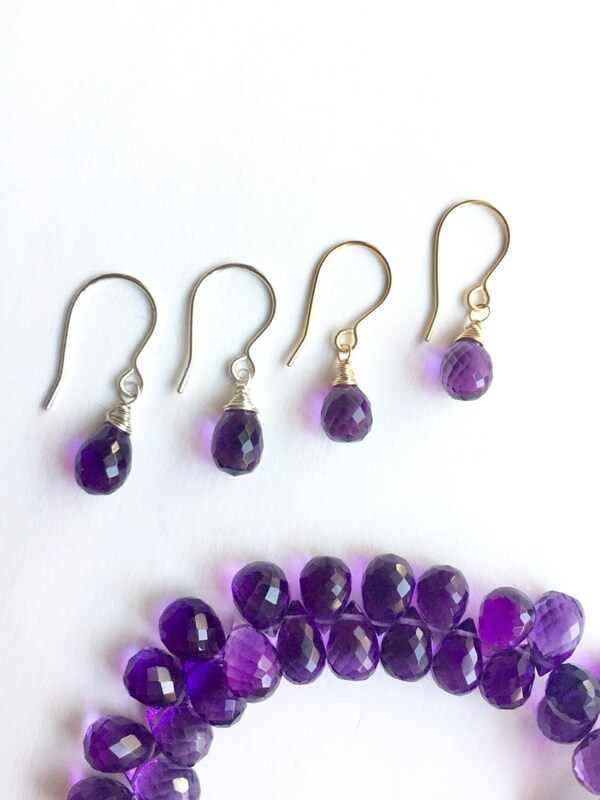 These deeply saturated purple amethyst drops are laser-faceted in a perfect teardrop shape. They are handmade by meticulously wrapping the high-quality gemstone with sterling silver or 14k gold fill wire. All wire elements are hand-shaped, including the ear hooks. These earrings measure approximately 1" long. 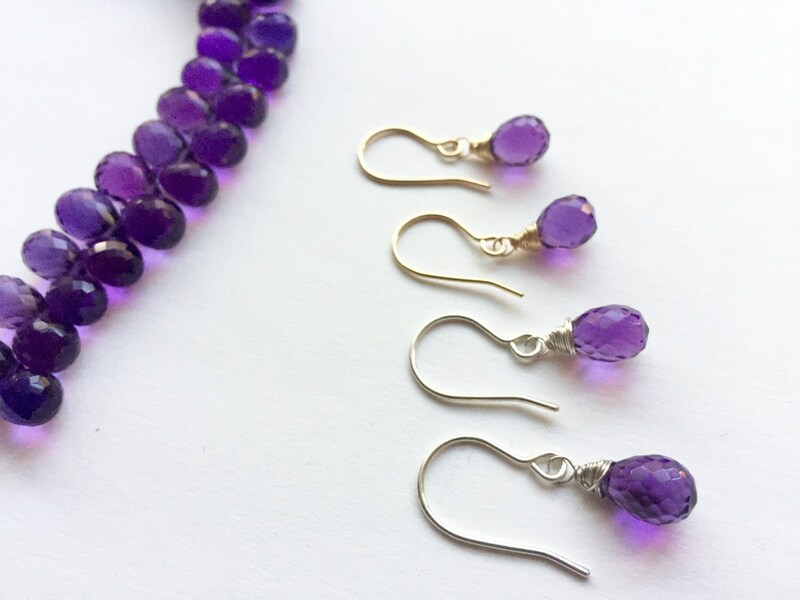 The amethyst briolettes are approximately 8 x 10mm. You can choose between sterling silver or gold fill.